At InsiderMonkey, we track insider purchases every day. It is very important to our investment strategy, just like keeping an eye on hedge fund activity. Therefore, in this article, I will look into two small-cap companies (market cap ranging from $250 million to $2 billion) that have seen insiders buy their stock over the past few days. First off is CONN’S, Inc. (NASDAQ:CONN), a $1.41 billion market cap specialty retailer of branded consumer durable goods, and a provider of consumer credit (oriented at supporting its customers’ purchases). On March 10th, Kelly Malson, Board Director, purchased 4,500 shares of the company for an average price of $39.58 per share. Mrs. Malson now owns 9,328 shares of the company, worth more than $365,000. 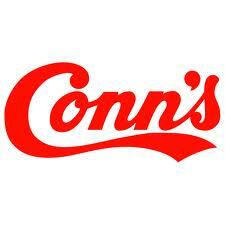 One can understand this purchase by just looking at CONN’s fundamentals. The company boasts industry leading margins (which more than double its peers’ mean), and above average returns on both equity and assets. In addition, a valuation at 15 times the firm’s earnings, less than half of its competitors’ average valuation, makes an interesting entry point available. Moreover, a mean price target of $57.50 per share implies plenty of upside potential, and long-term EPS growth prospects look even more promising: analysts expect CONN’s to deliver average annual EPS growth rates around 22%-23% -compared to an industry mean of 13%. Even further, not only insiders and analysts are betting on this stock. Major hedge funds, including John Murphy’s Alydar Capital and D. E. Shaw‘s D E Shaw do not only hold millionaire stakes in the company, but have also increased their positions over the last quarter of 2013. In addition, as we have recently reported, Luxor Capital Group, led by Christian Leone, has initiated a position with approximately 2 million shares in CONN’S, Inc. (NASDAQ:CONN). In this way, the stake held by Luxor Capital amasses 5.6% of the company’s outstanding Common Stock. The second case I would like to refer to is that of RCS Capital Corp (NYSE:RCAP), an $883 million market cap holding company engaged in the business of wholesale broker-dealer, investment banking and capital markets business. On Friday, April 11th, Nicholas Schorsch, Executive Chairman of the Board of Directors and more than 10% stakeholder, acquired 20,000 shares of the company’s Class A Common Stock for prices ranging from $30.57 per share to $33.08 per share. Following these transactions, the insider owns more than 24 million shares of RCS Capital. In this case the investments are not as easy to understand. While the stock’s valuation at 31 times the company’s earnings doubles that of its competitors, and the firm’s margins are razor thin, its returns on equity and –especially- assets, look quite appealing. In addition, the company pays out 2.18% of the current stock price in the form of dividends, which makes of this stock, more of an income investment that of a long-term growth one. Billionaire Ken Griffin‘s Citadel Investment Group started a position in RCS Capital, with 11,115 shares held at the end of 2013.